Pleasanton PD just had a theft at Bealls in Pleasanton. Four suspects fled with a lot of merchandise in hand. 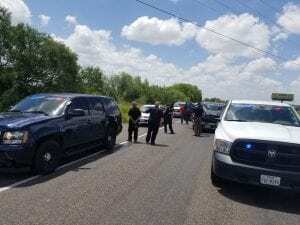 A witness in parking lot called 9-1-1 at Atascosa County Sheriff’s Office. 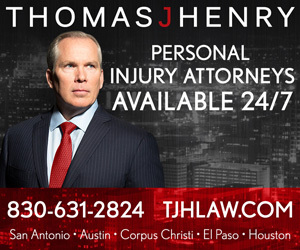 Dispatchers notified S.O. units as a Pleasanton PD unit began pursuing the suspects in a tan SUV down Airport Rd. The suspects were being followed by a witness. 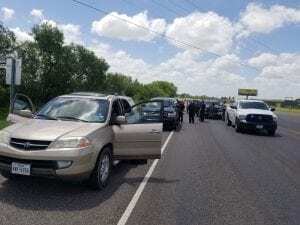 Atascosa County Sheriff’s Office, Jourdanton PD and DPS pursued the vehicle north on 16 from FM 3350 through Poteet. 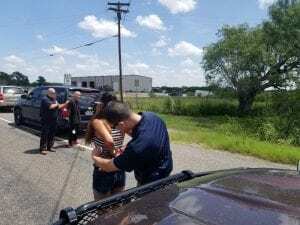 The vehicle was stopped one mile north of Poteet on 16 and four suspects were taken into custody without further incident. Stolen merchandise and narcotics were recovered.